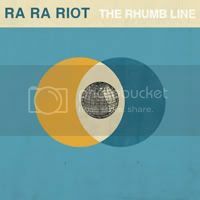 Prior to listening to Ra Ra Riot’s full length debut, The Rhumb Line, I have to admit, I wasn’t fully invested in the band initially. But the Syracruse band caught me of guard with their flourishing 10 song collection. At first glance, the band doesn’t look like they’ve got much to offer, though the quintet’s main attraction really rest within their music. This is a band that owns a natural gift for composing impressive vocal melodies and luscious string arrangement. The loss of ex-drummer, John Pike in a tragic death may have contributed to the shaping of the record, but if it exudes a similar feeling to an elegy, it owes to the engaging blend of mournful strings into the group’s indie rock compositions. I love the slightly glossed up and improved arrangement given to some tracks, most noticeably in the buoyant and breezy, ‘Can You Tell’-- sounds heaps better than when I first heard it. Jangly guitars rule! Winter ’05 surfaces with a string orchestration seemingly built around a 17th century English setting before morphing into beatles-esque mode. 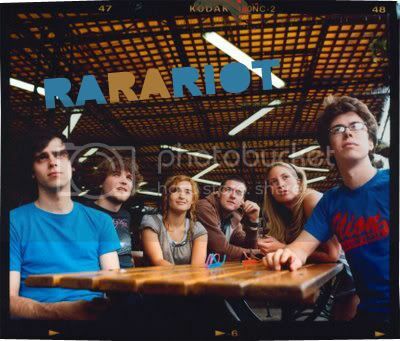 While ‘Too Too Too Fast’ provides Ra Ra Riot their very own new wave, synth pop moment; by far the most different and yet still captivating as the rest. And yes, this is definitely another strong contender for album of the year. Come to think of it, they do sound a bit like close musician friends, Vampire Weekend. Minus the afro-pop nonsense of course.